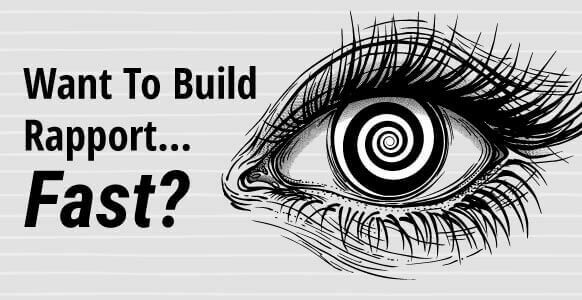 Ever wanted to get inside the mind of a master hypnotist? Well, here’s your chance. 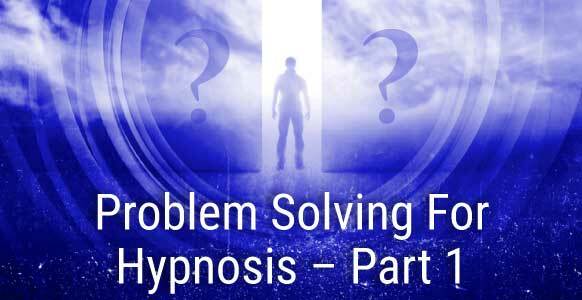 In the article that follows, master hypnotist Igor Ledochowski answers 6 common questions on conversational hypnosis. 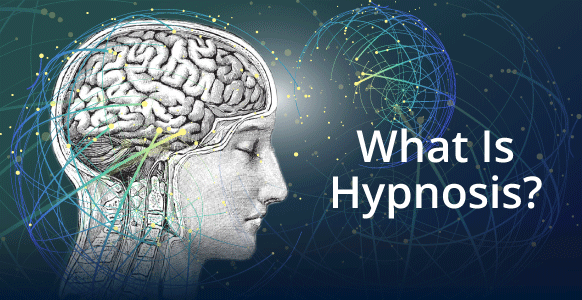 The questions were put to him during a Conversational Hypnosis Mastery live training seminar – and his responses are outlined below. It’s rare to get this kind of insight into what actually happens during hypnosis. And in such great detail. For instance, you might know that the critical factor exists in some form, but what exactly is it? And what about hypnotic suggestions? Why is it so important to repeat them over and over? Those are just two of the topics Igor goes to great lengths to explain. For hypnotists, words are their bread and butter. 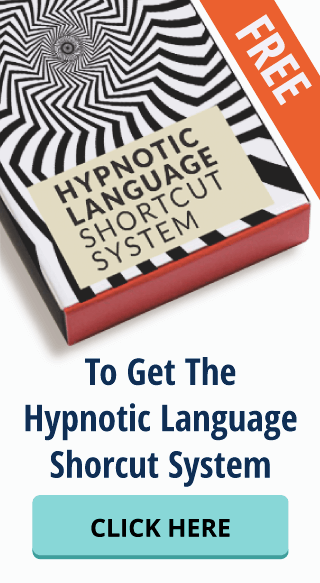 They use hypnotic power words to link ideas together and create a flow of language that has a hypnotic rhythm to it. But if you look at the words, they’re pretty darn ordinary. Words like because, and, as. How can simple words like that possibly be used to put someone into a hypnotic trance? Read the rest of this post to find the answers to these and similarly probing questions. It’s been written in a Q&A style showing the questions followed immediately by Igor’s comprehensive replies. Also please note that many of these questions are actually multiple questions on the same topic, so the answers may be longer to take all the variables into account. Question 1: Why does the critical factor want to say “no!” to hypnotic suggestions? How does it get this way? What is the purpose of it being so rejecting of new ideas? Igor: These are all good questions. Unfortunately, the simple answer is that nobody actually knows. Nobody knows what the critical factor is, why it says “no!” or why it rejects information. We can’t point to a certain part of the brain and say that’s where it’s located, or this is where it does its stuff. As far as we’re concerned, the critical factor might just be a metaphor. It might not exist as an actual entity. But it does explain a behavior that we come across a lot in hypnosis, of people saying “no” to suggestions and refusing to go into a trance. How does it get this way? Well, I think people just practice it and become very good at it. Some people are so set in their ways that they leave no room for anything else. That means their critical factor is on overdrive. When something new comes along it gets ignored so their world can stay the way it is forever. If you look at the critical factor as a metaphor, the role of the critical factor is to keep things the same. To maintain the status quo. That means accepting things that already exist and rejecting things that challenge the way they think their world currently works. It’s a mechanism in the mind that keeps people from changing. It could be that it’s a protective mechanism, so that once you’ve figured out something that works, why change it? Why take a risk when that could lead anywhere, even possibly towards death? So this mechanism keeps us more conservative and risk-free. That might be one explanation. Another possible explanation concerns the Ericksonian view that the critical factor doesn’t exist, and that it’s actually the conscious mind that’s interfering. The conscious mind habituates its thought loop so strongly that it’s difficult for the unconscious mind to bring something else in between. It’s like a TV station or an old-style radio that’s caught between stations. There’s a lot of static and you can just about make out an image or sound, but it’s not very clear. It’s stuck there. With all that conscious static going on, the unconscious response is being blocked out by all that white noise, so people don’t notice it and it has no real impact. 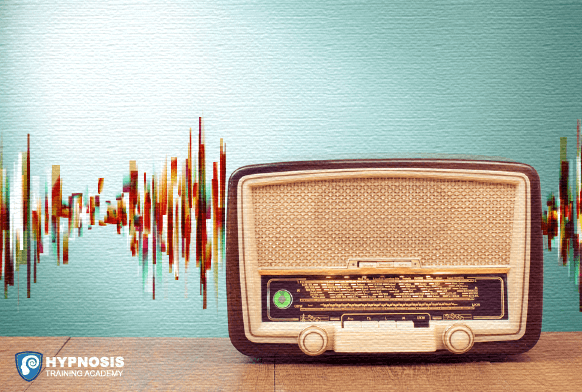 The quieter you can make the white noise, the more the signal of the radio station comes through. And the clearer the signal is, the more powerful the response tends to be. This is how Erickson looks at it. He likes to get rid of people’s conscious minds entirely from a therapeutic perspective, because when that goes away, its limited way of thinking goes away too. Its practiced, habituated, fixation on seeing the world a certain way has been removed, and you can go for a more unconscious creativity without any interference. Strictly speaking, it’s not necessary to get the conscious mind completely out of the way. When I do conversational hypnotherapy, I actually enjoy having an engaged conscious mind. I just don’t want the critical factor to get in the way. That’s the kind of balance I’m always looking for. I hope that gives you some insight as to how the critical factor works and what it is. Remember, these are metaphors that we tell ourselves, and there is no actual research that will point to it and say we now know exactly how it works. Our technology isn’t good enough to do that yet. So is it a critical factor, an overactive conscious mind, a habituation mechanism? No one has actually tested it, so it’s hard to give a precise answer. However, it works if you think of the critical factor as a truism. Your hypnosis gets better when you bypass it. Your hypnosis gets worse when you don’t. That’s why I like to speak about it and why I like to use it. But if someone comes along and says…. 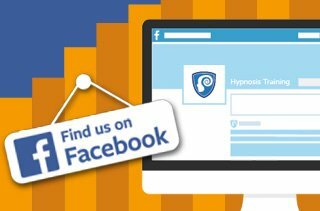 “There’s no such thing as resistance, there’s some other mechanism at work, and when you take care of that, hypnosis becomes easy.” If someone figured that out, the life of every hypnotist will be a whole lot simpler. Question 2: How do you cut in on someone who won’t stop talking, in order to get their attention and start your conversational hypnosis without being rude? Igor: This is an interesting question and there are a lot of different things you can do. You can do it verbally at first, but if that doesn’t work, hold your hand up. That acts as a kind of stop sign, at least in Western culture, that signals you should stop what you’re doing. It’s rude just to shout out “STOP!” – and people don’t respond well to rudeness. So this non-verbal signal makes sure they get the message, while your voice remains very polite. That flash of the palm (the stop sign) is an unconscious suggestion to pause. But if your tone is polite, relaxed and very respectful, that undoes any of the harshness the palm might create on its own. It balances things out, and at that point a lot of people will pause and reflect on something. Another approach is to hijack their conversation. A typical thing that happens in conversations is the echo effect in action. When someone is really listening and engaged in a conversation, they pick up on short phrases and keywords of the speaker’s sentence and repeat them back. Using the above sentence as an example, if you were really engrossed during a conversation with me as I explained it, you might repeat back to me, “Okay and they repeat them back.” That’s just literally repeating back my words. It tells me that you’ve heard them, it makes me feel heard. So, you can start repeating back the essence of their story, which they’ll have no objection to because they feel heard and they enjoy it. Let’s say they’re telling a story about fishing. It sounds like you’re actively supporting their story, but you’re only repeating bits of it. Then you start hijacking it. Notice what happened there. By throwing in the question, it gives you control of the conversation whilst you are still doing all the talking. So it’s the other way to start taking control of it. By asking carefully phrased and loaded questions you can take someone who likes to talk and you can hijack their desire to talk by talking about the things you want them to talk about. Now, how is that hypnotic? Well, it’s one of the most basic inductions, one of the workhorses of conversational hypnosis, called the revivification pattern. 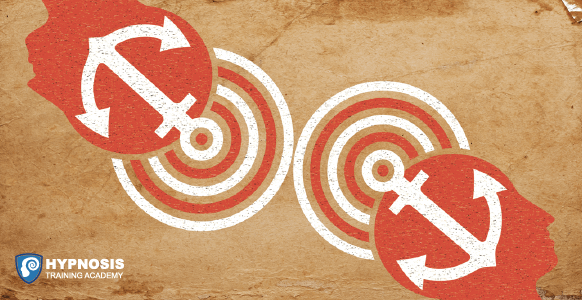 The revivification pattern can be done mostly by just asking questions. Let’s say you went to the circus and enjoyed it. Then I might revivify it with questions. Notice that I’ve just interrupted your story with a question about your story so you feel like you have to fill in the content? But, as soon as you talk about how big the circus was, you’re following my line of questioning. So I keep my line of questioning centered around those themes, the size of the tent, the colors, the experiences, the emotions, sounds, tastes, the people around you. The more I cover the territory over and over again with my questions, the more you’ll start to revivify. You’ll start to experience it, especially if I turn on my H+, if I slow down, if I get a little more hypnotic. Well, when I got in there were all these clowns running around and big cycles and I had to find my seat. Notice how with just a few simple questions and requests, you can get someone to give you the kind of information you want. That means you can steer the conversation towards hypnotic themes, which means you’ll be revivifying hypnotic themes, which means you’ll be in a trance. And once you’re in a trance like that, well, life gets very easy. The ability to throw in suggestions and conversation becomes very easy. Basically, all the other tools you’ve learned start having a place to fit in. 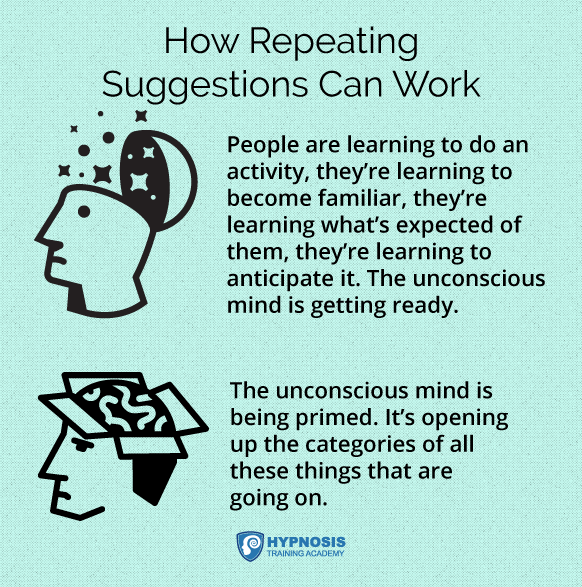 Question 3: Why does repeating a hypnotic suggestion over and over again make it more powerful than just saying it once? 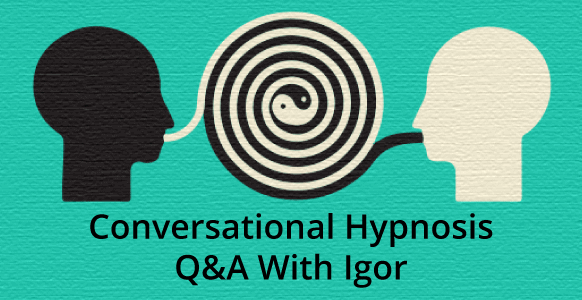 Igor: There are lots of different theories about what hypnosis is and how it works. They all have some value and are worthwhile checking out to see how they work, where they fall apart, and so on. 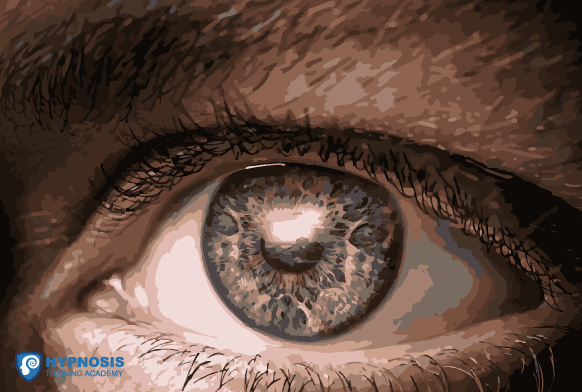 One of the theories states that during hypnosis you’re learning something, you’re making unconscious processes more conscious. It’s a learning process in which the unconscious mind learns to respond better. Let’s take an example from everyday life, something that everyone has experienced. While on holiday, you hear a particular tune played over and over again. When you return home, whenever you hear that tune, it stirs up the feelings you had on holiday. You’ll start daydreaming, remembering and reminiscing about the holiday you had. It’s the Law of Association and it means you get to appreciate that time all over again. You could call the feelings and revivification that come as a result of that music a hypnotic process. The music is basically revivifying your holiday. How does it get to the stage where it has the power to revivify the experience? Well, you practice it a lot first. You felt a certain way, hearing that song in different contexts, and eventually the pattern took over. Your unconscious mind learned that when you hear this song, you tend to feel this way. Once it has learned that, it generates the memories and feelings whenever the music is heard. What does this have to do with hypnotic suggestion? Hypnotic suggestions are a form of learning. If you want someone to act out a certain behavior on a certain suggestion, if you want them to feel something or think something or do something at a certain suggestion, then every time you pair the suggestion with a behavior, it becomes stronger. It also works with the priming effect. Social psychologists have studied priming or subconscious priming in depth. Essentially, imagine that you have headphones on. In one headphone you hear something very quiet that you can only hear consciously if you really strain for it, words like moon, sea and boat. Then, you’re asked to choose a laundry detergent. If you choose a detergent called “Tide” out of the whole selection, then “Tide” was primed, because moon, sea and boat all have things to do with the tide. Tide is the common theme between the 3 of them, which are all nautical terms. So the brand Tide fits into that category. Hearing me talk about the sea, boat and moon for a while has primed your mind, has opened the area inside your mind that has all these nautical themes. So if I ask you to choose a laundry detergent, you may well choose the brand name, Tide, because it links with that. You won’t necessarily realize that you’re doing it. Here’s an example of it in action. People played a video game and during the game they got flashed images of the Coca Cola brand of soft drinks. It was fast, at such a fast speed that most people didn’t notice it. When people left the experimental area, they were invited to a snack station and told they could grab a couple of drinks on their way out. They checked how many people took a bottle of Coke (the primed response) versus Pepsi, Fanta or some other brand. Sure enough, when the Coke brand was primed, most people tended to choose the Coke as the reward for themselves. So, repetition is part of the learning process. The more you repeat something the more ingrained it becomes, the more habituated it becomes, and the more unconscious it becomes. Repeating certain ideas and themes tends to activate the priming response through the Law of Association, so the more you prime a certain type of response the more likely it is that people will spontaneously make that very response. If you put those things together, it shows you exactly how repeating suggestions can work. Let’s see how you might put that into practical use. Suppose you want to create a hypnotic phenomenon, let’s say a negative hallucination to not see something. You might prime the person by telling them a story of how you forgot your car keys and you couldn’t find them anywhere but they were there all along. Or maybe about your glasses, how you were looking everywhere, asking everyone where your glasses were and all the time they’re laughing because they’re sitting on your face. You have negatively hallucinated the frame out of your peripheral vision, the feeling of the frame on your nose, in terms of the tactile experience, and you’ve deleted them out. You’ve negatively hallucinated them away. Just giving you that example has primed you slightly towards a negative hallucination. If we carry on, we can talk about driving down a familiar route and when you get home you forget how many traffic lights you pass, how many were red, how many cars you went by. You’ve forgotten all these things because you weren’t really paying attention to them. If you’re standing at a traffic light and I ask you, what was the color of the house you just passed, you’d have no idea that the house was even there. You might have thought it was a field, because you are so busy in your thoughts that you are cognitively blind. You are actually cutting out information. I might tell you another story about cognitive blindness. There’s a YouTube experiment you can check out where subjects were shown a video of people passing a basketball in a complicated set of patterns. They’re asked to count how often the ball was passed. They’re so busy counting the ball changing hands that when a man in a gorilla suit walks right in the middle of the screen, stops and then walks off again, they literally do not see him. Then, when they’re asked at the end of the experiment who saw the gorilla, only a small number of people say they saw it. Most people will swear there was no gorilla in the video and when you rewind it and play it again, they’re shocked that the gorilla was there. They have negatively hallucinated it away because they were so busy doing other tasks. I’ve given you lots of examples of negatively hallucinating things, so that if I now set a suggestion that you will negatively hallucinate something, the chances of you succeeding with that are much higher than if I only give the suggestion once. Repeating a suggestion is important, and so is varying the way that you repeat the suggestion. The richer the associations that come to bear on the suggestion, the more you’re priming the associational network, the associations of experiences that person has had. That means the suggestion that’s nested inside of all that is much richer, supported by more psychological energy, and the chances of it succeeding are much higher as a result. Can you do a suggestion just once and have it work? Absolutely. But, the more you repeat it the more likely it is to sink in. The more likely that it’s going to stick. Why? On the one side it’s the priming effect, and on the other side it’s the learning effect. Together they make a very powerful support mechanism for your suggestions. Question 4: Will a post-hypnotic suggestion just carry on forever if you don’t put a time limit on it? What if it’s a suggestion that at some point becomes less useful to the subject? He didn’t see her again for another 20-30 years. When he was in his 50 or 60s, he bumped into her again while in a restaurant with Gregory Bateson, the famous anthropologist. Erickson spotted her sitting in a booth and his unconscious mind reminded him what happened 20 or 30 years earlier. He told Gregory to ask her if they could join her, because the restaurant was busy. She said yes, so Gregory joined her and Erickson joined her later. The reason Erickson joined her later was because he wanted her to see him as a complete surprise. If she saw him walking up to the booth there wouldn’t be such a clear boundary. If she has already given strangers permission to sit there and another stranger turns up and it happens to be him, it’s a perfect test to see whether or not she will go into a trance. She did. She went into a profound trance the second she saw Erickson. She was already engaged in conversation with Gregory, but the second she saw Erickson she dropped into a very deep trance. Gregory, who didn’t know the backstory, was totally flabbergasted. He said: “What the hell happened?” It must have looked like Erickson had some sort of magic power, but it wasn’t magic, it was a pure post-hypnotic suggestion. No one knows why post-hypnotic suggestions can wear off after a day or so with one person, but last 50 or 60 years with someone else. We’re still in a very gray area when it comes to the brain, the mind and how it works for a lot of things. Here’s the best educated guess on what’s going on. It is the person’s interpretation of how long the post-hypnotic suggestion is supposed to last that is important. For example, if I’m at a stage hypnosis show and I’m told that every time I hear the word “Elvis” I’m going to jump on my seat and sing “Viva, Las Vegas,” if someone says “Elvis” to me in that environment, I’ll get up in my chair and everyone will be amazed at the power of the hypnotist. It’s your expectation that creates the duration of the post-hypnotic suggestion. In the Ericksonian example, Erickson had specified to the lady the next time she saw him – there was no expectation of time there. It’s an ongoing post-hypnotic suggestion. There is no implication that it should end at a certain point, such as when the therapy is over, or when the show is over, or when the research is over. There’s no implication that the post-hypnotic suggestion needs to end there, so it doesn’t. So, if you want your post-hypnotic suggestions to carry on forever, make that a suggestion. I’m always in favor of giving people a choice. Will the fact that you’ve told someone that this post-hypnotic suggestion will remain with them for the rest of their life, guarantee that it will last the rest of their life? Once again, no it won’t. It depends on how their unconscious mind interprets it. If it chooses to interpret that suggestion metaphorically, it might decide it’s going to be for a long, long time and then that time will be over. It might be 10 years and then it won’t work anymore. If it chooses to reject it as unhelpful to your overall well-being, then it will reject the longevity of the suggestion and replace it with its own “reasonable time limit”. So it still has a time limit, but it’s self-imposed, self-suggested. Post-hypnotic suggestions can last a lifetime. They tend to last as long as the person expects them to last, so if you want yours to last longer, suggest that they will last longer. If you want them to wear off more quickly, suggest that they’ll wear off quickly. Provided you’ve given the suggestion well and there’s no other pre-existing condition getting in the way, then that’s exactly the duration that your post-hypnotic suggestion will have. Question 5: What is it about stringing ideas together with hypnotic power words one after the other that makes them so hypnotic, as opposed to just giving someone the same ideas without the power words? Igor: There are a couple of things going on with hypnotic power words and phrases, and there’s a lot of psychology behind them as well. For example, the word because links into things like motivation. As soon as someone says “because,” whether or not the because is serious or spurious, people take them seriously after that. This has been tested quite extensively in social psychology. In a famous experiment someone asked if they could jump the photocopier queue because they had to make copies. Presumably everyone else in the queue had to make copies as well, yet by qualifying their request with the word because, the others took that as a good enough reason and let them go ahead. Power words also work to create a smooth transition between ideas. Let’s say you were on an ice skating rink gliding forward on normal shoes. You’d slide in a certain way, quite smoothly, no problem. If you try and do the same glide outside of the rink on the concrete, there’s more friction. You still might slide a little bit of the way, but you’d brake more. Now imagine trying to do the same slide in a very broken environment, on steps. Steps are constantly changing, it’s not a level playing field, you’re constantly changing heights. If you try and glide down a step you’ll stop at the very latest where the step runs out. You’ll bump into the next step and that will stop you. So, think of communication in the same way. If your ideas can run smoothly they’ll just keep going with little resistance, like the ice rink. If you put more friction in place, it’s like doing it on concrete. You can still skid on concrete, but you won’t skid as far and it’ll take more effort. 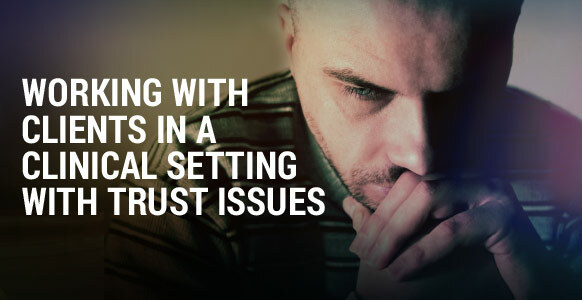 If you remove any kind of connection words, if you’re just bluntly stating concepts that are constantly alerting people, you’ll have the equivalent of steps or an uneven field, which is constantly tripping you up. You can’t skid or slide very often. Every time you come to a stop you have to make another decision to keep going. With the power words that decision doesn’t become necessary, because you’re running so smoothly there’s nothing they need to do. Every time you skip, however, every time your ideas become less than smooth, they become a little clumsy or clunky, they draw attention to themselves too much, and the critical factor kicks in again. It asks: what’s this? And starts paying attention again. It’s analyzing everything again, thinking about it again in a different way, and that can cause problems for the suggestions. It’s not crucial that people stop analyzing things for hypnosis to work. In fact, there’s a whole style of hypnosis where you do nothing but ask questions. Mind Bending Language is an example, which is an offshoot of that. You don’t actually have to use power words or phrases to achieve the same effect, which is to get smooth transitions. The smoother the transitions are, the less likely that anything will jar the other person, the less likely their critical factor is going to be woken up, and the less likely that your ideas will get rejected. 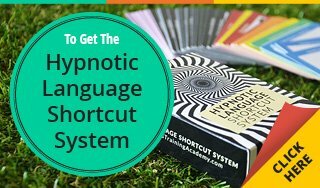 So to recap: Hypnotic power words are a great way of achieving a smooth flow of language, and that’s the main way they end up working. Another level in which these power words and phrases work is concerning the Law of Associations. They combine ideas. I’m attaching their desire to be kind to the behavior of helping me and so as soon as they’re combined together, they’ll have to help me because they want to be kind. Hypnotic power words allow you to make that connection. Because kindness is already inside, it helps me connect with the unconscious on a deeper level. You’re still putting ideas together. You’re still priming them and making the whole thing as smooth and effortless as possible. They can keep gliding forwards on the stream of thought they’re on, which means that you can keep guiding that stream of thought until it ends up where it needs to be. Question 6: Doesn’t using a lot of language softeners make your conversation sound wishy-washy, as if you’re not very definitive or sure about what you’re saying? Igor: This is another excellent question. To answer it, let’s first look at the point of language softeners. The point is to take the harshness out of your conversations. It’s to soften the blow so people don’t feel that they’re being dictated to or told what to do, because most people tend not to like that. The second thing that language softeners do is they allow you to minimize risk, which is particularly relevant when it comes to presenting suggestions. If I suggest to you that in a moment you’ll forget your name, I’m taking a risk, because if you don’t forget your name my suggestion has failed. My status diminishes in your eyes. I’m losing my authority and it’s harder for me to make subsequent suggestions that work. I can still do it and it can still work, but I have to work much harder. A lot of hypnotists intuitively realize that when they fail with a suggestion things get harder for them. And since they’re afraid of failing, they don’t bother making a suggestion for fear that they will fail. If I say: “Your eyes are getting sleepy and tired. Soon they’ll close sleepy and tired…” but your eyes are wide open and alert, then I’m running the risk that you’ll keep your eyes open. Then we’ll have a battle of wills, which is a terrible way of doing hypnosis that serves nobody. 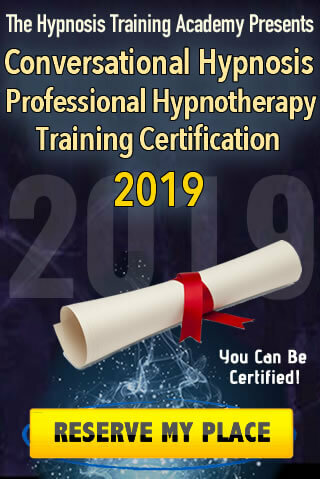 It doesn’t help the hypnotist or the client and achieves nothing of any value, unless the person needs to prove to themselves that they can resist a hypnotist. You don’t want there to be a battle of wills, because you won’t get the compliance you need for hypnosis to work. You also don’t want the other person thinking they’re getting one over on you, letting you think you’re working your magic while secretly saying to themselves that their eyes aren’t really closing and nothing’s happening. That’s called covering all the bases. So, if the person’s eyes close, your authority has been deepened. If they don’t close you’re still right because you said perhaps not, and your authority still deepens. Either way, you win. So language softeners prevent conflict from arising. They also prevent you from getting stuck in a position where you risk your suggestion failing. On both counts they’re very powerful. The thing about language softeners is that they depend on context. If I abuse them, a number of things will happen, one of which is that I will end up sounding wishy-washy. If my mannerisms and tonalities are doubtful or insecure, then I absolutely will sound wishy-washy. The big problem here is not my language, but my attitude. It’s my insecurity that’s making things wishy-washy. I can be just as insecure without the language softeners. Notice how I’m pleading with you. The tone is pleading, desperate. I don’t believe my suggestion so why on earth would you believe it? The way to work with this is to use the tonality of conviction, known as: command tone down. That’s how it is in the English language at least. At the end of my sentence I inflect my tonality downward, which makes more certainty. It’s more of an instruction as opposed to a question which goes upwards at the end and makes it sound as though I’m not committed, as though I’m really afraid of what I’m saying. With the command tone down, I can tell you you’ll close your eyes and your eyes will close, and you’ll go deeper and deeper. However, with the upward questioning tonality the same phrases would become a farce very quickly. Try saying them out loud yourself and you’ll see what I mean. You need to use a very steady tone that drops at the end. This is the case in the English language and most of the European languages, where the tonality goes down at the end of the sentence when you’re giving an instruction. You can spot language softeners being used in everyday conversations, especially by someone who is insecure in themselves. When someone feels wishy-washy and uncertain, they automatically unconsciously use language softeners so as not to commit to any particular position. 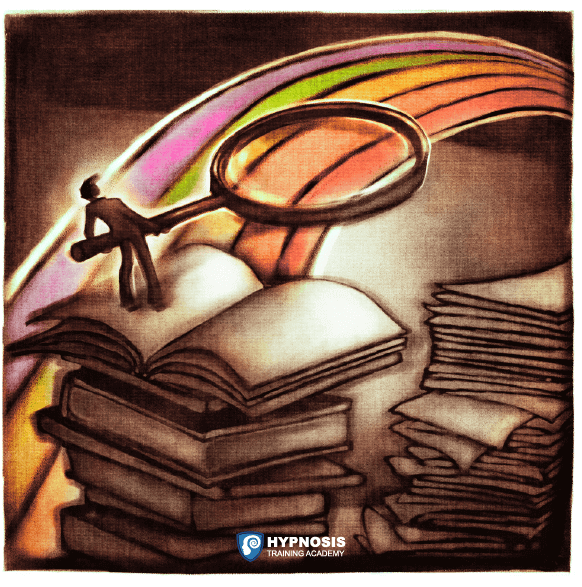 Using language softeners combined with that tonal trick takes care of many issues in hypnosis. Of course, language softeners have their place mostly at the beginning of the induction to help bypass the critical factor. You can also reuse them in the middle of inductions when there’s a solid trance established. And that’s what will happen if you spend enough time practicing hypnosis. Did you know “hot words” play a critical role in getting past a client’s critical factor so they won’t resist the change they’re seeking? You can find out what they are and how to use them here.